The judgements passed by the Critical Theorists on the Bauhaus and architectural modernism were largely negative. Perhaps this ought not to bother us too much. But there is an historical parallelism between Benjamin, Kracauer and Adorno on one side, and Gropius and his colleagues on the other. The groups fit into the ready-made roles in a familiar historiography: each camp represents an early twentieth-century avant-garde driven into exile and resuscitated in the early Federal Republic. Both groups were left-leaning while rejecting both the institutions and the orthodoxies of Marxist-Leninism. They seem to be on the same side of history, but their relationship has always been uneasy. How much of a problem is this? Is it merely a phantom of petrified historiographical narratives and tropes? How might we describe their historical connections more accurately? 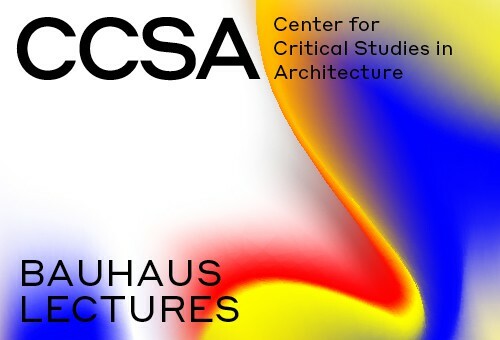 And can the legacy of the Bauhaus be brought into harmony with the rigours of Critical Theory? Lecture followed by a conversation with Carsten Ruhl. Frederic J. Schwartz is Professor in History of Art and Architecture at University College London. He has lectured and published widely on modern architecture and design, the critical theory of the Frankfurt School, the German avant-garde of the early twentieth century and the History of Art as an academic discipline. His publications include The Werkbund: Design Theory and Mass Culture Before the First World War(1996; dt. Der Werkbund: Ware und Zeichen 1900-1914, 1999) and Blind Spots: Critical Theory and the History of Art in Twentieth-Century Germany(2005). From 2016 to 2018 he was a Leverhulme Research Fellow, pursuing a project on intersections between artists, the legal justice system and the public sphere. The Video of the Lecture will be available in April.